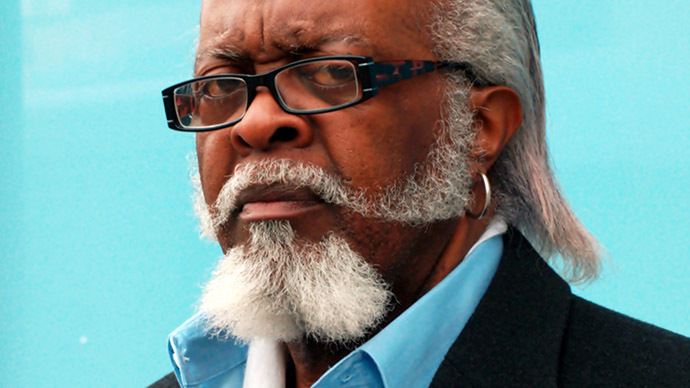 Jimmy McMillan has spent years railing against rent that’s “too damn high” in New York City, but the perennial political candidate is now facing eviction from his rent-stabilized apartment, New York Daily News reported. McMillan – a 68-year-old Vietnam War veteran – is being forced out of his apartment because his landlord says McMillan’s primary residence is actually in Brooklyn. As a result, McMillan has been served with an eviction notice ordering him out of his $872 per month, rent-stabilized East Village apartment. McMillan is seeking a stay of eviction, due to be carried out by a city marshal on February 5. He said the Brooklyn address is an office and that he lives in the Manhattan apartment with his son, Jimmy, who is in the US Army. “They don't have the authority to evict me,” McMillan told the Daily News. McMillan is seeking damages and will be representing himself in court. His complaint states that his landlord, Lisco Holdings LLC, has been trying to get rid of low-paying tenants like him so it can rent the place out for more money. A tactic used by landlords to do this involves not cashing the rent checks they receive, and then making the case in court that the tenant owes them money. In this case, the landlord allegedly changed the locks on McMillan’s apartment and defied a Housing Court order to deliver a new key, forcing McMillan to obtain one on his own. The outspoken McMillan has run as a candidate in multiple political races over 21 years, including for governor of New York in 2010. As founder of “The Rent Is Too Damn High Party,” he is against high rent and property taxes for homeowners. He believes that lowering rent and cutting taxes will ease financial stress and help eradicate hunger and poverty, as well as raise tax revenue.